Irina Borisovna Ratushinskaya (born March 4, 1954), a poet, a former dissident and an Orthodox Christian, reposed in the Lord on July 5, 2017. Her works, Grey is the Color of Hope (about her imprisonment for writing Christian poetry), In the Beginning, and Beyond the Limit were translated into English and are available on Amazon.com. Pravoslavie.ru talked with Irina’s husband Igor Gerashchenko, also a former dissident and a member of the Artists Trade Union of Russia. They were married for about forty years, and have been “through the mill”. Both were human rights activists, but neither ever equated the Soviet authorities and the Communist regime, which they rejected, with Russia and its people. Irina and I were not typical members of the dissident movement. Quite often people joined it out of pride. Many dissidents used to tell me that whenever they wrote a letter and sent it to The Voice of America, it inevitably appeared on the table of the Politbureau members the following day. And they already imagined themselves wearing general’s stripes. But most dissidents were in fact half-educated individuals and did not have any serious professions. And when the Soviet Union collapsed, those who were able to do something else abandoned the dissident movement. Meanwhile, those who were unable to do anything else became our present-day human rights activists, most of whom fill me with disgust. The activity of the overwhelming majority of them (but not all, nevertheless) can be characterized by only one word—Russophobia. In actual fact, against the background of the “great evil” of the Soviet Union, it (this Russophobia) went practically unnoticed. One of our first letters (which provoked a typical reaction from the Soviet authorities) was written when Andrei Sakharov [1921-1989: the prominent Russian nuclear physicist and civil rights campaigner, who helped develop the hydrogen bomb but campaigned against nuclear proliferation] was exiled and all the newspapers with one voice announced that it was done “following multiple requests from numerous working people” who “wanted” this, although it was illegal. We wrote that we were certainly not among those “numerous citizens”. I was an engineer at the time, a first class designer, and Irina had just moved from Odessa to Kiev. It can be said that it was our first political action. What did we struggle against the Soviet authorities for? For the right to leave the country, the right to read what we wanted, the right to print and publish what we wanted. So our work boiled down to one thing: We demanded the observance by the Soviet authorities of their own laws. Our activities were confined to advocating human rights. Now we have already achieved all of this, so in modern Russia the word “dissident” is simply meaningless. Who are dissidents in general? Dissidents (dissenters, nonconformists) are those who refuse to conform to the official, established religion. At the moment there can be no dissidents in Russia; Russian citizens are not being forced to conform to any official religion. Now Russia is a free country. Yes, we do have corruption and other disadvantages, but, in my opinion, we have simply become an ordinary bad country. More than that, I believe that today Russia is the freest or one of the freest countries in all Europe. 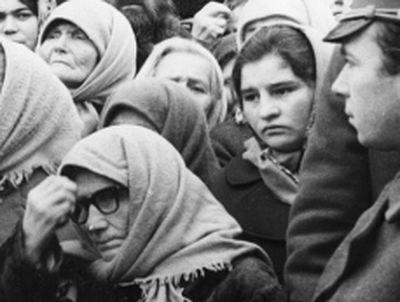 When we were exiled from the USSR, we had a clear-cut position: We did not receive any grants. Western grants are very dangerous; they are intended for “recruiting” people for political reasons. And it doesn’t matter who created these politically oriented foundations—completely dishonest people will inevitably become their resource managers and will use these grants as political leverage… The above concerns only Western funds. For Irina, all of her poetry and creative activity was like a conversation with God. It doesn’t mean that most of her poems were on religious themes. Actually, she did not write very many purely religious poems. But the concepts of “good” and “evil” that any literary genre deals with are associated with God, for they were defined by the Lord for us. Irina’s conversion was not some zig-zag; it was a gradual process in her final years at university (she graduated in physics from Odessa University) and the first several years after graduation. And it was not due to the Church that existed in the Soviet Union at that time… The same can be said about my conversion story as well. We did not read spiritual literature—it was simply not available then. The first copy of the Bible that Irina acquired was in Church Slavonic, and she read it in her early twenties. We got our first Bible in Russian when Irina was twenty-six, in 1980 (by that time we already were [legally] husband and a wife). We got married in Church on November 16, 1979, at the Antiochian representation church in Moscow. He lived at this church and led an exemplary monastic life. He radiated such love and light that it strengthened our faith to a considerable degree. Metropolitan Anthony himself said in one of his sermons that in order to truly come to believe in our Lord Jesus Christ we need to meet someone in whom this genuine faith manifests itself. And Metropolitan Anthony was precisely this sort of person. In the Soviet era, prisoners were not allowed to keep metal items with them. I carved a neck cross out of a walrus tusk and passed it to Irina through the camp’s deputy chief [in 1982 Irina Ratushinskaya was accused of “anti-Soviet agitation and propaganda” and sentenced to four years in a strict regime labor camp for women in Mordovia]. All the guards of the colony were bribed by me. At the time I worked as a toolmaker and earned 300 rubles a month (it was a lot of money for that time) so I could afford to bribe them. Irina wore this cross throughout her term in the labor camp. 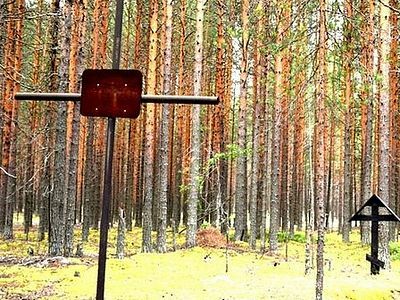 Three times Irina was asked to take her cross off and three times she firmly refused, so in the end they all just had to ignore her wearing it. And she passed away in my arms with a smile on her lips. 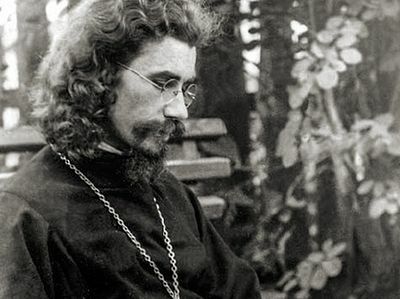 Today is the tenth anniversary of the repose of Archimandrite John (Krestiankin). To commemorate him we present an unusual testimony to his zeal and Christian love—a sort of apophatic approach to the biography of a saintly man. It comes from reports written by the Pskov plenipotentiary for religious affairs A. I. Luzin, whose job it was during the atheist Communist period to watch Fr. John’s every move and report back on his “crimes”. Can someone please help. I need to know if this was the author my mother worked for in California in 1986-1987. She had a son, Irwin, whose name I have not seen listed anywhere, and I thought she was either divorced or estranged from her husband. But I was very young, and this woman sounds like she could be her. My mother died young and I got no photos, heirlooms, or belongings. I wanted to find people from her past, in order to write about her. I need to know if Irina was nominated for, or attended, The (now-defunct) Angel Awards in Los Angeles in 1987. The Russian writer my mother worked for attended the event, with my mother in tow. I've been searching for years, please help. Thank you. This is a moving and eloquent testimony to the passing of a great poet and a great Christian witness in dark times. Her family will remain in my prayers. Thank you for letting us know lovely, Godly and heroic Irina and Igor.